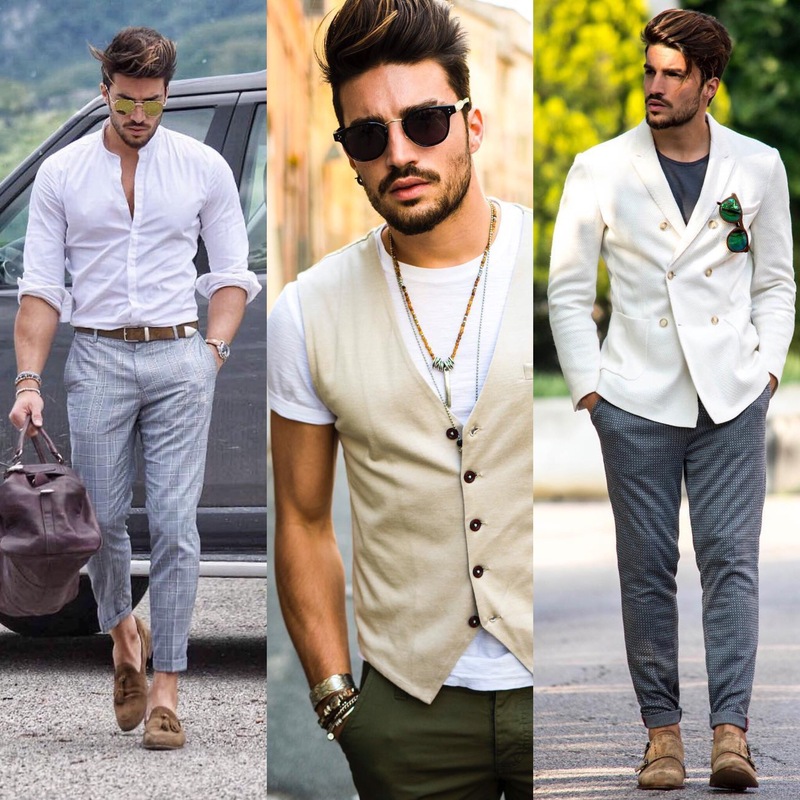 Mariano Di Vaio is a true style icon at this day and age, his outfits and looks inspire a lot of people, plus his sense of style is admired by so many people, including me. He is a blogger, a youtuber and a founder of NOHOW, with a great and quite unique sense of style, it is really elegant and eye catching at most times, and I am sure anyone can get inspired by his sense of style. What I like about his style is his attention to detail, almost all his outfits has something that can catch your eye, making you admire his style more, also it is nothing too crazy, it is subtle and simple most of the time but his attention to details add more depth to his outfits and make them look more stylish and admirable. Also his ability to wear anything confidently makes you like his sense of style more, he has proved many times before that he is not afraid to rock any piece of clothing related to men, which allows him to look good in anything he wears, plus it makes him a bit of a trendsetter. Another important component of his style in my opinion is the fact that he takes care of himself, he is quite the handsome guy and he is like that for a reason, because he knows how to take care of his fitness, skin, hair and body in general, which allows him to look better in whatever he wears. Now you maybe wondering if you should start dressing like him? My answer is not necessarily, yes I admire his sense of style, but I understand that it doesn’t work on anyone, first of all he works in social media which means he has to grab as much attention as possible that is why some of his outfits are a bit out there so he can grabs everyone’s eye, but as an average man you don’t always need to grab attention as much as you should look good and presentable, secondly as I stated some of his outfits need you to be confident so if you are someone who likes to stay in the safe zone or is not sure if his looks work on you then you are better off wearing what you feel most confident. Nevertheless, that does not mean you can not experiment, so if you feel inspired by one of his outfits, feel free to try it out, check it out on yourself, and if you love it then rock it. If you are wondering where you can find his content, well you can simply follow him on Instagram ( @MarianoDiVaio ). As for his outfits, I have talked about one of his outfits in a previous article ( Click here to check it out), and I am sure I will talk about more of his outfits later on, but for now I will let you check his outfits out on Instagram. Qotd: Who do you want to see next? Nice look – classy and simply stated.